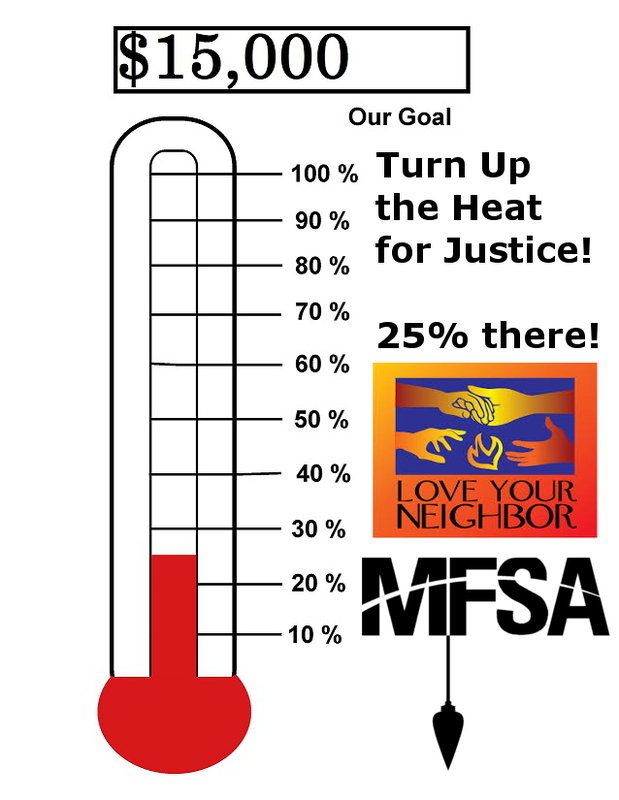 Turn Up The Heat To Help MFSA! Summer is almost over, but it’s time to turn up the heat! We need your help! MFSA has been given a great opportunity to support inclusion for lesbian, gay, bisexual, transgender, and queer (LGBTQ) United Methodists and their work for justice for all. This past week, we were notified of receipt of a small grant to assist with strategic visioning for the Love Your Neighbor (LYN) Coalition, a group of 10 progressive organizations who are committed to justice in The United Methodist Church – not only for LGBTQ persons, but for all the places we find injustice and oppression in our Church. Unfortunately, this grant only supports the programming, travel, and some technology upgrades for the Coalition, not the personnel costs. Current grant applications for personnel costs are in final consideration, but we need your help today. Since January, MFSA has funded the LYN Coalition Coordinator position. We expected funding this summer, but now will be awaiting word regarding personnel funding in early October. Thus, MFSA has delayed other financial obligations because we believe so much in the work of the Coalition. Our Coalition Coordinator, Rev. Steve Clunn, is central to the work of the LYN Coalition. Help us continue this position until we can secure more funding. Share with your colleagues, friends, family – anyone who believes in justice for LGBTQ persons in the life and mission of The United Methodist Church. Central to this work is coordinating efforts of the Coalition’s cooperative event in August 2015, the Legislative Strategy team, and further fundraising to make sure there’s a strong progressive presence in Portland for General Conference 2016! With a goal of raising $15,000 by October 1, we believe we can continue not only to support the work of the LYN Coalition Coordinator, but show potential grantors the commitment United Methodists have made to make our denomination a welcoming place for people of all sexual orientations and gender identities who work for justice. Your financial support – large or small – will make a difference in the future of our movement for justice and in the future of the Church! Let’s turn up the heat and get this thermometer rising!